After a week and a half of early mornings, late nights, train rides, plane rides, border crossings, and averaging walks of more than ten miles each day throughout five countries in Europe, Adam and I had earned a break. Fortunately, when planning for this trip, I had thought ahead to how we might be feeling as the sun rose on our final full day in Europe. And I was right: we were ready to wind down a bit. Thank goodness it was wine tasting day! As it turned out, although the sun did rise over our last morning in Croatia, we never really saw it; Dubrovnik was cloaked in a heavy cloud cover when Mario, our guide, arrived to pick us up. Because our visit was just before the summer tourists would descend on the region, what we thought would be a group tour became a private tour just for Adam and me. We quickly learned that Mario has been working throughout Europe as a wine educator with the UK serving as his home base for almost 25 years. 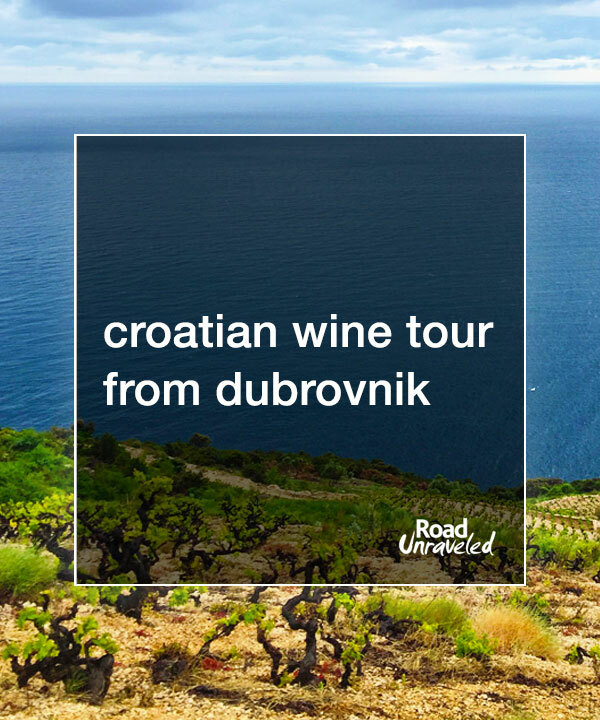 He returned to his home in Croatia and began providing small group tours to expose tourists and locals alike to Croatia’s wine regions. With his promise that he would teach us the right way to pair food and wine, we set off for our first stop. 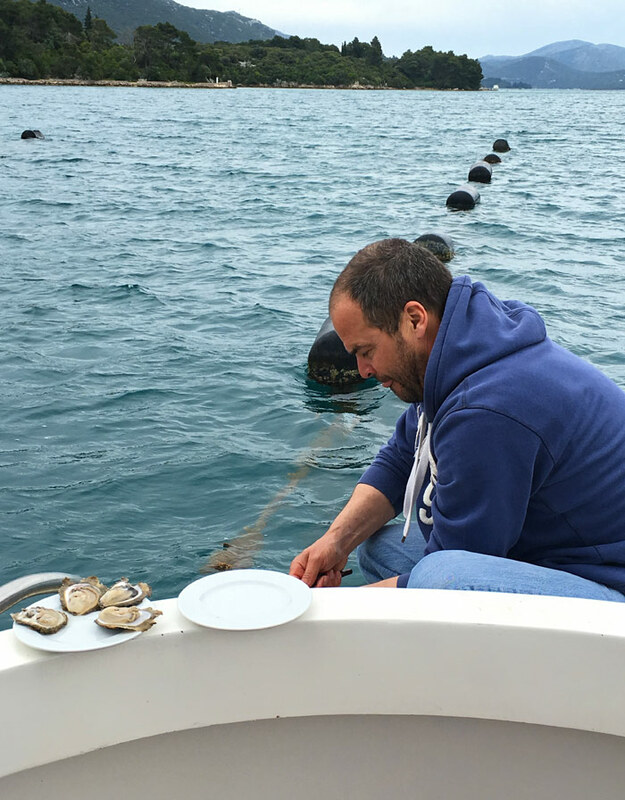 By 10:00 AM, Adam and I were seated across from Mario on a little motor boat that made its way from the Pelješac Peninsula toward our first stop: a family-owned oyster farm. Adam isn’t a big fan of oysters, but I love them: they are a favorite special occasion treat reserved for when I can find them fresh and when I’m joined by someone who will share a few with me. Once we were away from the shoreline, Mario’s colleague- the owner of this little paradise- stopped the boat, and within minutes he was plating freshly shucked oysters as Mario sliced a lemon and poured our first wine of the day. With glasses of Vina Belje Grasevina and a dozen fresh oysters in front of us, Mario had us take a sip of wine. It was good, but it wasn’t great. It tasted a bit acidic and was a little on the dry side, as young white wines can be. 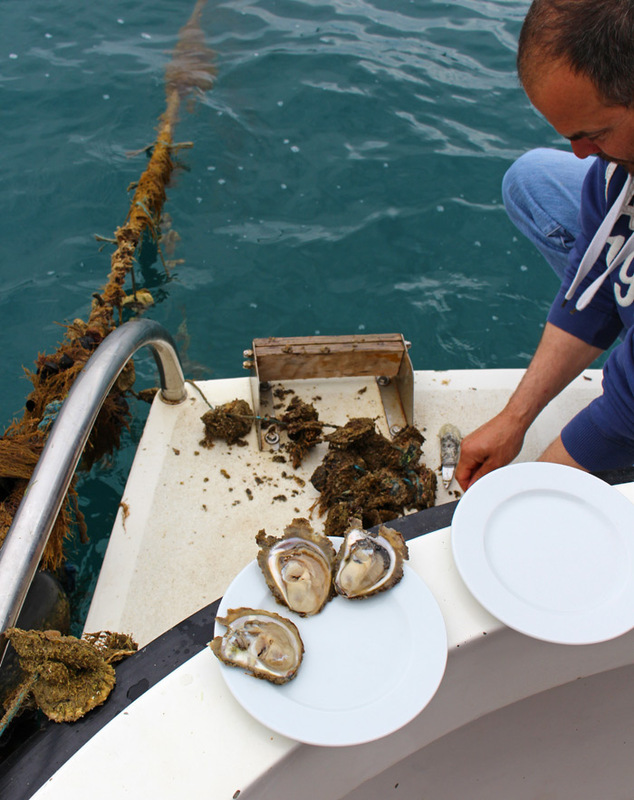 After considering it for a moment, we got the go-ahead to try an oyster. The oyster was incredible: I had never had one served so soon after being plucked from the water, nor had I had one served without cocktail sauce, but this one was briny with great texture and perfect with just a squeeze of lemon juice. As soon as I ate my first oyster I badly wanted a second one, but Mario asked us to try another sip of wine. This time, the wine changed; the brine of the oyster cut through the acidity of the wine, and suddenly it transformed into one of the best I had ever tried. While I have learned about food and wine pairing in the past, this experience profoundly illustrated what others tastings never have: the right bite combined with the right wine can change them both for the better. Even Adam agreed; he tried an oyster, mostly to be polite, and thought it was so good with the wine he gladly accepted a second one. I could have sat on that boat eating oysters and sipping wine and taking in the beautiful shoreline for the whole day. 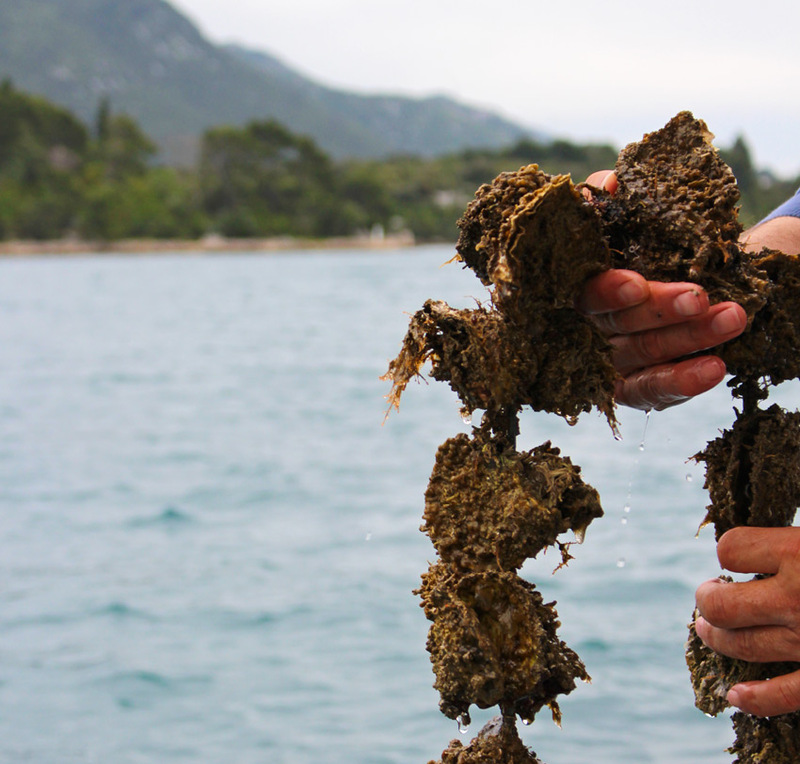 But we only had a single bottle of wine there, and Croatia boasts many more varieties than the grasevina, so when the last oyster was consumed (by me, of course) we motored back to the shore to depart for another tasting. The balance of our morning was spent at a couple of small wineries where we enjoyed proper wine tastings- and our first introduction to Plavac mali. 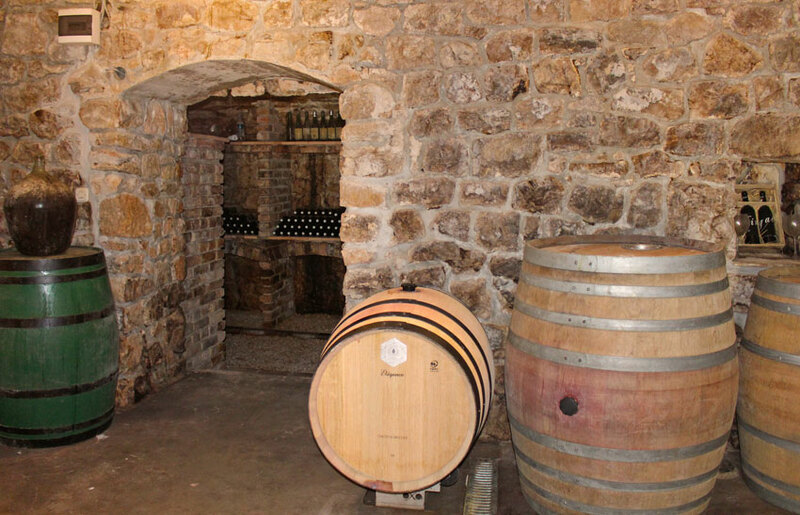 Plavac mali is Croatia’s primary red wine grape variety and it’s indigenous to the country. 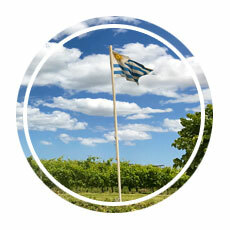 The name “Plavac mali” refers to small blue grapes: in Croatian “plavo” means blue and “mali” means small. It’s a dark ruby colored wine related to Zinfandel, with flavors and aromas similar to blackberry, cherry and maybe a little pepper. 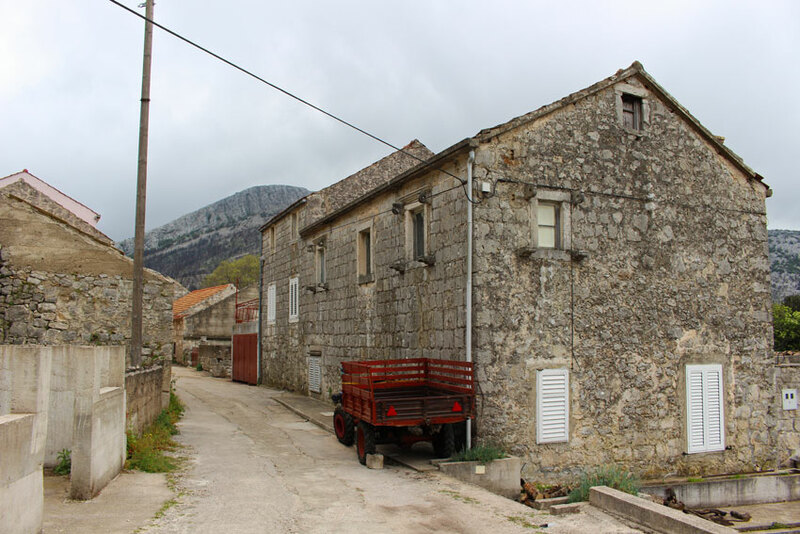 It is commonly found along the coastal slopes of the Peljesac peninsula, Dingač and Postup. We happily sampled a couple of wines produced from Plavac Mali while enjoying some house made olive oil and fresh bread at the first winery we stopped to visit. 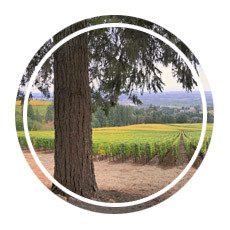 The winery itself was incredibly charming and very small; the owners handle every part of the process themselves- including the bottling and labeling! Before we left they invited us to sample one more treat: small batch liqueurs. We couldn’t help but leave with a bottle of grappa made from myrtle that was so unique from any other drink we had tried. We loved our second stop just as much at a family-owned winery in the Pelješac region, where we tried three additional wines including a great rosé and a Dingač that blew us away; it was nuanced and even a bit spicy, and it was Adam’s favorite wine of the day. If we had the space (and lighter luggage!) we would have easily bought a few bottles to enjoy back home. Our final tasting took us not to a small winery but to a wine bar that boasted the availability of more than 60 types of local wine. Not long after arriving- and realizing that Mario, Adam, and I would be the only guests that morning- a plate of fresh cheese and crackers was placed in front of us and the first of the wines was served. I anticipated a tasting like the others we had enjoyed that morning- three wines before wrapping up- but we sampled seven wines before our time there was done. 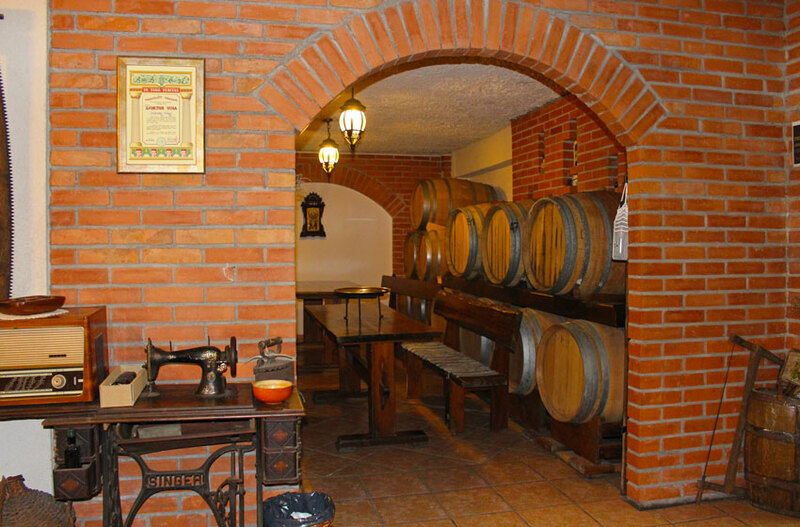 Mario would pour us some wine, and as we reacted to it the owner would jump up and find one more wine for us to try. When the last wine had finally been poured, sipped, and enjoyed, we felt very lucky to have experienced a very diverse tasting. 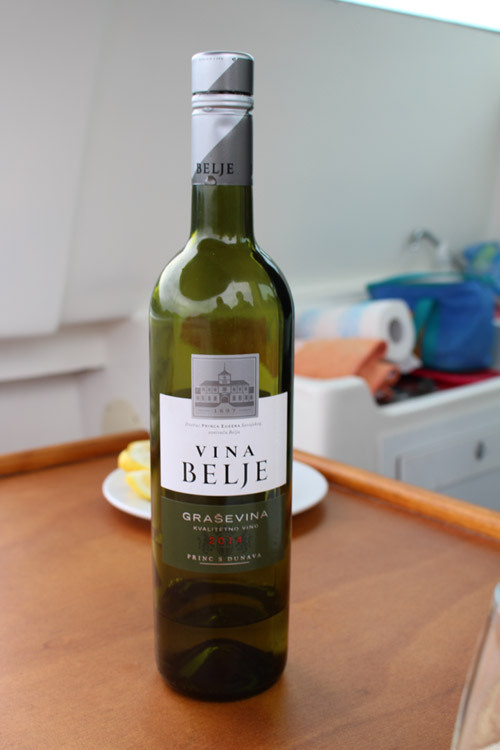 We had hoped to love Croatian wine as much as we have loved other wines we have tried, and it had far exceeded our expectations. We had never tried Plavac Mali before- we hadn’t even heard of it, let alone thought to seek it out- but now that it’s on our radar we’re always looking for it in wine shops near us in the United States and telling our friends to consider it when they are looking for new wines to try. 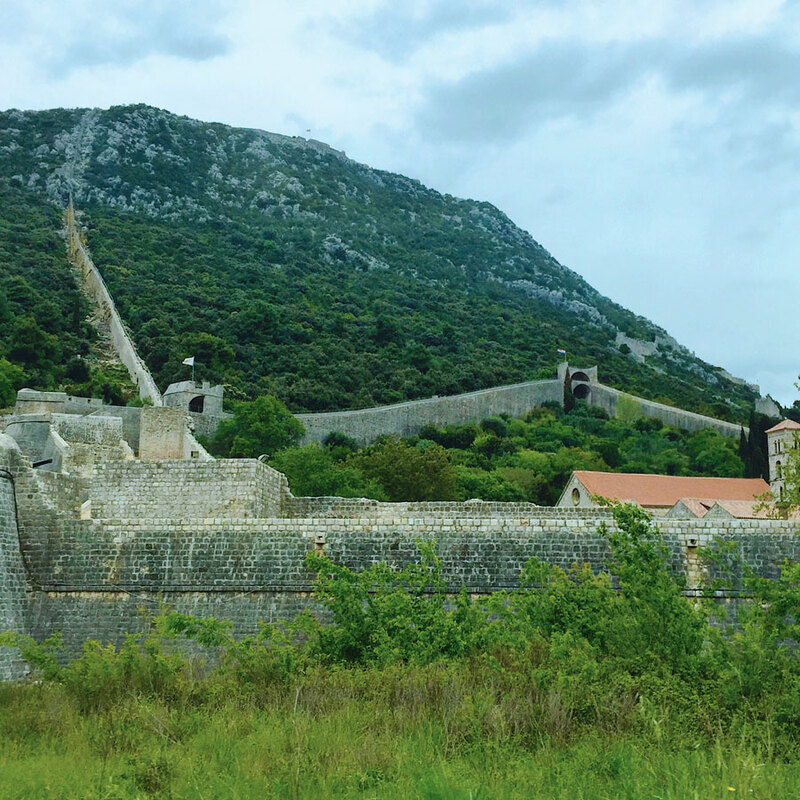 We couldn’t head back to Dubrovnik without lunch, and as we drove to our restaurant we had a chance to see the Walls of Ston, affectionately nicknamed the Great Wall of Croatia. The walls were built sometime around the 14th century as a means of protection for the salt ponds that were a source of wealth for the area and for Dubrovnik. We didn’t climb the walls as we did in Dubrovnik or Montenegro, but you don’t need to explore them by foot to appreciate the magnitude of the history they protected centuries ago. Much of the wall’s structure has been damaged or removed anyway; after the fall of the Republic of Ragusa, sections of the wall were torn down to make buildings or just for the sake of removing them. Even still, they were beautiful to see. Mario selected a great restaurant to conclude our visit. 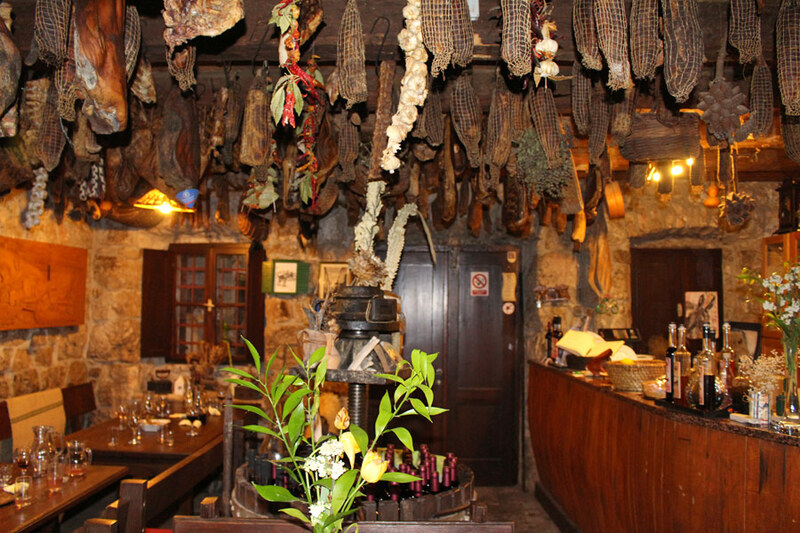 I loved it before we even sat down to eat; meat was hung to dry from the ceiling, and we sat rustic tables as meat, cheese, and wine was placed before us, a pre-lunch snack while we waited for our main course. I could have eaten every bit of the Dalmatian smoked ham on that plate (not to mention the delicious bread served with it! ), but the main course was one of the best meals we have ever had. 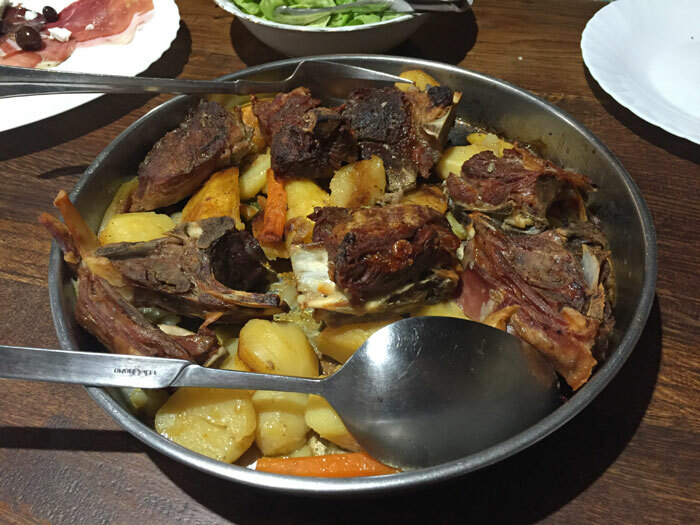 The slow-cooked lamb and veal with root vegetables was succulent, and naturally it paired perfectly with the Plavac Mali and the Rukatac, a full and balanced white wine. 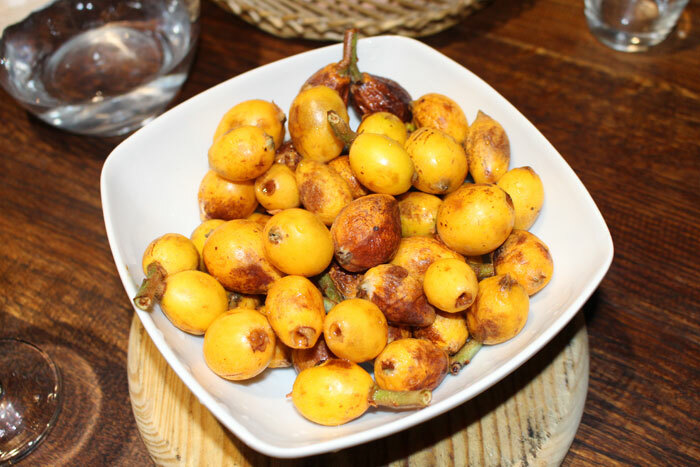 Although we didn’t have any room at all for dessert, we still found a way to try some fresh nespola, also known as loquats (just perfect after a big meal!). As we got ready to leave we stopped at the counter for an after dinner drink (cherry brandy- house-made and just wonderful after our meal! ), and we were surprised and very grateful when our server handed us a bag with our leftovers in it; there hadn’t been much, but it was a nice gesture. As our wonderful Croatia wine tour came to an end, we begrudgingly accepted that so, too, would our visit to Europe. Resigning ourselves to packing and sorting our belongings for the rest of the night, Adam and I thought we would have a light meal in our room so our leftovers wouldn’t go to waste. We were both surprised to find that the staff at the restaurant had replenished all of the meats, cheeses, and bread- instead of just a few bites, we had a whole new platter of food packed neatly into tinfoil packages. That’s probably the best way to explain how we felt about our day and about Croatia in general- surprising, delicious, and completely defined by the kindness and generosity of the people we encountered. We’ll look forward to a return trip in the future- and we’ll look forward to spending another great day tasting Plavac Mali and Croatia wine with Mario. 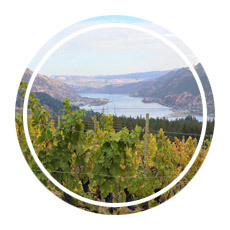 Do you love exploring new wine regions? Here are a few more posts for inspiration! * From time to time, our travels are directly impacted by a service or company. 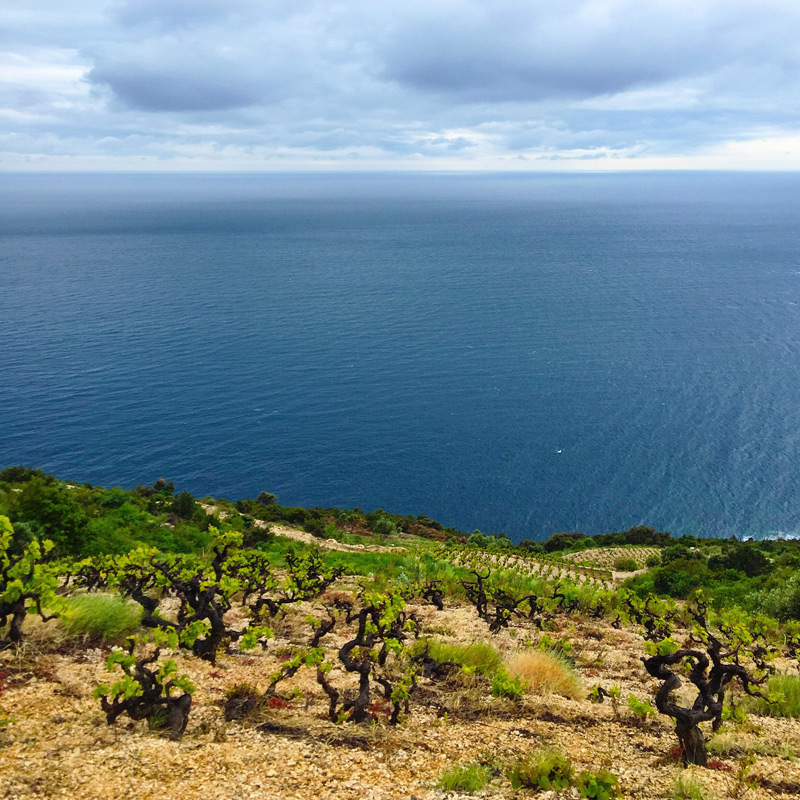 In this case, we booked a day tour with Dubrovnik Wine Tours, and this post includes our candid review of our experience. 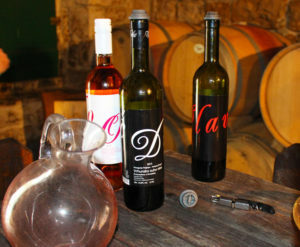 We selected Dubrovnik Wine Tours based on our own research and travel needs; we were not offered and did not receive compensation of any kind from them or any other party in exchange for our review. 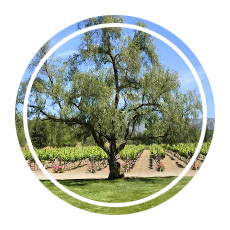 We also do not share the names of individual wineries or other companies visited through the tour to protect their competitive advantage.